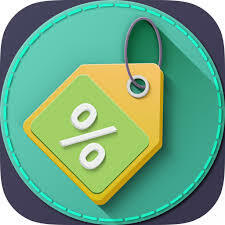 Line Discount : Line discount is a simple discount on a particular item like '10 % off ' or 'Rs. 10 off'. It's depends upon your requirement whether to use discount percentage or discount amount . 10 % discount it will become "Rs. 90". 1). 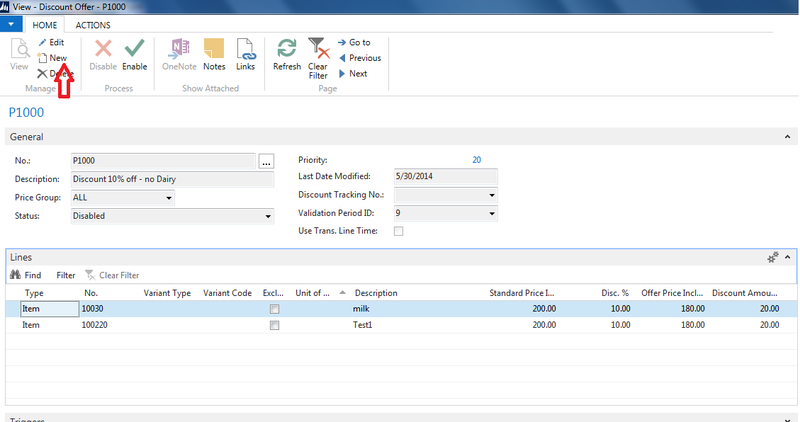 First go to "Microsoft Dynamics NAV 2013 R2 Development Environment " and open Page "Discount Offer". 2 ). Press "New" to create a new discount offer. 3). Fill the fields In 'General' Tab'. No. : This will be your unique Discount ID. Description : To recognize your discount. Price Group : To make valid this discount for a particular price group. 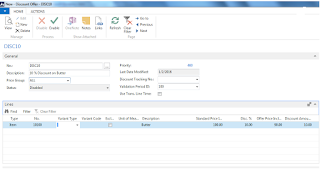 Validation Period Id : This will decide your discount validation period in which you can select a specific Date and time period for your discount. 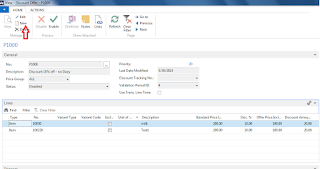 Type : In this field you can Select Item,Item category,Product group,All and Special group. No : Specify Item no here. 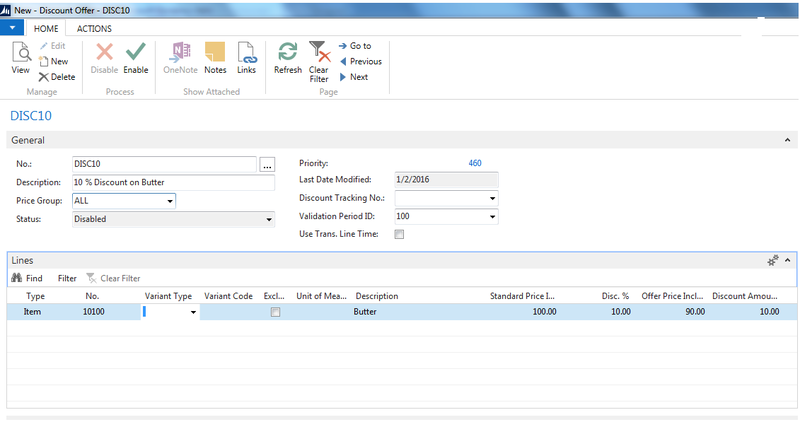 Disc % : Specify discount percentage. Others options are also available like Triggers, Settings, Benefits, Additional Benefits and Store Group .If you want to know about these options also , Just comment below to let me know.